Our expert public adjusters move efficiently to evaluate and document the full scope of your wildfire damage and negotiate a maximum claim settlement to get you up and running. If your commercial property is damaged in a wildfire, we understand your initial focus is on protecting your employees, operations, and customers. That alone can be a full-time job, as can be the next step of handling your commercial property insurance claim. When it’s time to file a claim, your insurance company will provide its own adjuster to negotiate your property damage settlement. Who’s looking out for you? Our team of public adjusters will work on your behalf in the wildfire insurance claim process, as we have for many business owners throughout Arizona, Nevada, and California, including those in Redding, CA, Tucson, AZ, and Orange County, CA. As your trusted advisors, we are fluent with insurance policy terms and conditions. We will evaluate and document your property’s wildfire damage in full detail to negotiate with your insurance company for a maximum claim amount so you can get back to business sooner. The insurance company tried to penalize us for doing everything in our power to mitigate our damages. The Vericlaim Adjuster was pleasant at first, but was very schooled and experienced in doing his job as he is tasked to do: to minimize the claim throughout the process…Fortunately, your firm succeeded on negotiating a fair and reasonable settlement with experience and tools that we do not have at our disposal…We appreciate the policy knowledge, detailed analysis and information that you provided us with which allowed us to make important business decisions relating to which path we wanted to take with our claim. We certainly did not realize the finesse, skill, and strategy necessary in the claims process to lead to such a successful resolution…Most importantly, it does come down to dollars in the end…You were able to successfully negotiate a settlement that was hundreds of thousands of dollars more than the insurance company initially offered. 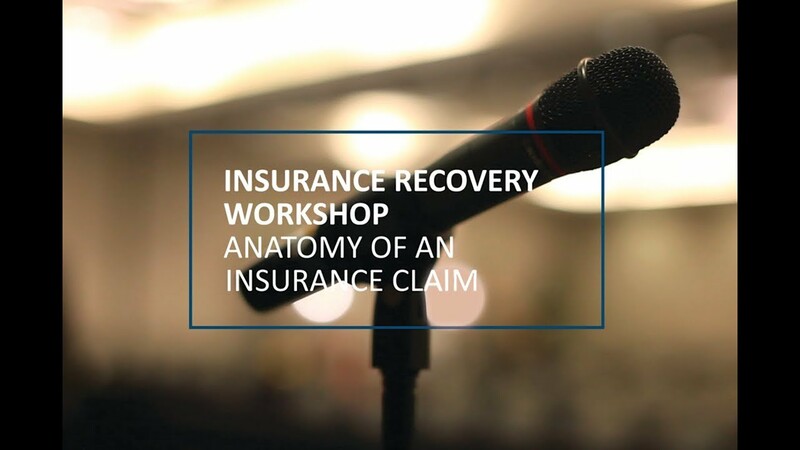 In our latest workshop, Rino Benenati and Kenneth Crown meet with residents of the Redding community to discuss the insurance recovery process with an emphasis on the building portion of the claim.